Government of Telangana Commissioner and Directior of School Education and Convenor Of DEECET 2019 Released DEECET 2019 notification on 08-03-2019 For Admission In D.El.Ed/D.Ed (Diploma in Elementary Education/ Diploma in Eduaction) two year course Diploma in Elementary Education Common Entrance Test Generally Called DEECET/ DIETCET. TS DEECET 2019 Notification Released For Admission into Two Year D.El.Ed/D.Ed/TTC Course and Diploma in Pre School Education (D.P.S.E) For The year 2019-2021 on 08-03-2019. After writing DEECET 2019 You can Take admission into Govt DIETS(District Institute Of Education And Training)/ Private DIETS in Telangana State. Interested Candidates who completed their Intermediate Can Apply Online For DEECET-2019 From 11-03-2019 to 15-04-2019 From Official Website www.deecet.cdse.telangana.gov.in Application Should be Apply Online Only. 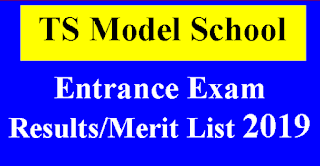 The Exam will be conducted in CBT (Computer Based Test) Mode.Exam Will be conducted on 22 may 2019. 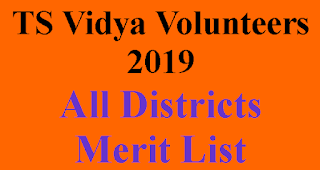 Online application for TS DEECET - 2019 are invited from candidates who intend to take admission into two years Diploma in Elementary Education (D.EL.Ed) in Government District Institutes of Education & Training (DIETs) and Private Elementary Teacher Training Institutions in the state to be conducted by Dept. of School Education. 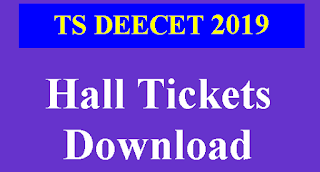 Candidates may download their Hall Tickets online from https://deecet.cdse.telangana.gov.in from the dates to be notified on the website. Candidates may keep viewing the website for information on dates of download of Hall Tickets. In case any candidate cannot download the Hall ticket during the dates notified for download of Hall Tickets, she/he should contact the help line by giving the details of the Journal Number of the fee paid and the reference ID number of the application submitted. Visit Official Site Of TS DEECET 2019. All Details Of DEECET 2019 of Online Applications, Apply Online Exam Dates , Syllabus, Pattern Of Examinations, Eligibility, Results Are as Follows.